Being able to manage money, keeping track of finances, planning ahead, making informed decisions about financial products and staying up-to-date about financial matters. Money for Life is Lloyds Banking Group’s award-winning personal money management programme, targeted at young people and adults in the wider Further Education, work-based learning and community learning sectors. At a time of economic uncertainty and pressure on household budgets in the UK, it’s more important than ever for people to gain skills to manage their money and make the best choices now, and for their future. Money management is about having the knowledge, skills, confidence and motivation to manage your money well. For more information or to apply for any of the courses above please click here. The Money for Life Challenge is a national competition which provides £500 grants for teams of 16 to 24 year olds to run a project to improve money management skills in their communities. The most inspiring and impactful projects progress to the National Finals and the UK Grand Final, with great prizes on offer. 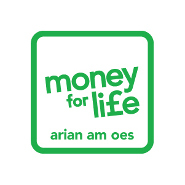 To find out more about the Money for Life Challenge visit the website. Money for Life aims to improve the knowledge, confidence and skills of UK communities to help people to manage their money better. Lloyds Banking Group has invested £8million in the programme from 2010 to 2014. Get in touch for more information on the Money for Life programme.